Lock in a great price for Pansion Oscar Summer Garden - rated 9.2 by recent guests. Great location. Good shower. Balcony room. Breakfast included. Could park our motorbike in the courtyard. This place is located very close to the old bridge (100 m) and there are plenty of pubs and shops nearby. We got a welcome drink. The rooms are above the restaurant, so everything works like one complex. If you arrive by car, you get a free entry to the opposite car park. Attention, Onešćukova street is one-way! You have to follow the signs to the Hotel from the main road along the old town. The breakfast was good! The bed was comfy! 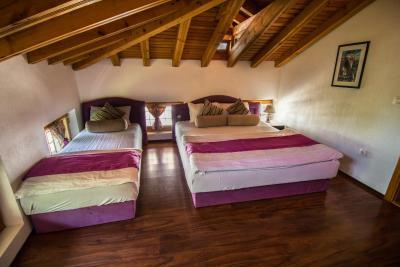 I would say the staff made our visit to Mostar and this accommodation memorable. 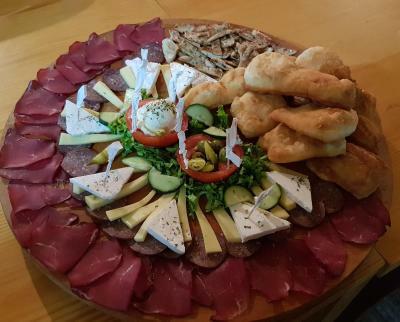 Everyone from the owner to the restaurant/bar staff were friendly and personable and made us feel like part of an extended family. I also loved having the restaurant outside my door. The owner was super friendly and accommodating, especially with parking as we were going on an excursion the next day and checked out of the pension, but he still let us park there. Great location as well. Right in the heart of downtown Mostar. Pretty spacious room with a lovely balcony. 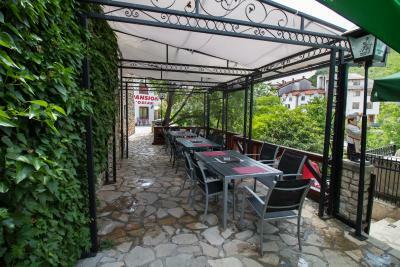 Perfect location in the old town a couple of minutes walk from the bridge. Fun garden bar and the breakfast was delicious. Secure free parking was available across the road. The hosts were very friendly and helpful - we had to leave very early on our last day before they started serving breakfast and they made us a lovely packed lunch to take with us. 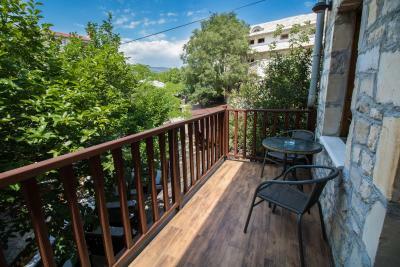 Perfect location - directly in the old town of Mostar, the old bridge ist just 100 meters away. The breakfast was very tasty and diversified. The rooms are pretty and clean. The car park is included and directly next to the pansion. The hosts were super friendly. See what I did there? Pansion Oscar is a great place to stay as not only very well run and right next to the old town it’s very close to the best bar in the area, the black dog pub. In addition the breakfasts you get are wonderful and the staff are simply amazing, always smiling and helpful. 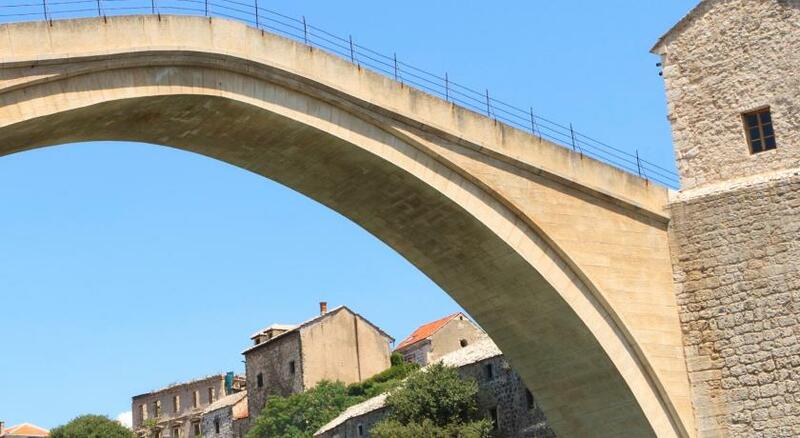 Mia was the best thing is Mostar. Loved everything. Beautiful balcony room. Great guest kitchen. Awesome breakfast. Lovely building. In heart of old town. Great bar and huge shady garden. 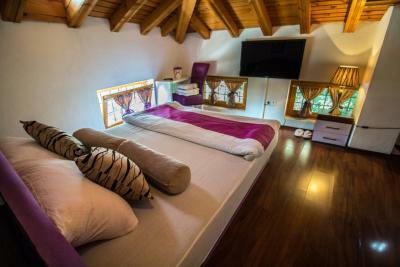 Perfect place to stay in Mostar. Very good location, friendly and helpful staff, breakfast is good. 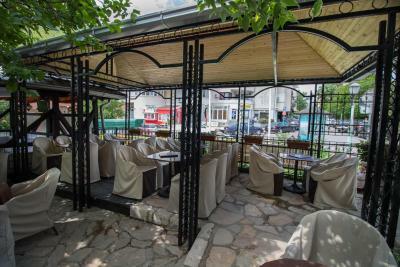 The restaurant & bar are situated in a lovely garden where we can chill outside of the crowd. 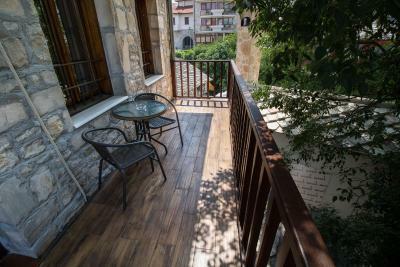 One of our top picks in Mostar.Located in the historic part of Mostar just 100 yards from the famous Old Bridge, Guest House Oscar offers air-conditioned rooms with free Wi-Fi and cable TV. Guests of the Oscar can enjoy the terrace and make use of the shared fully equipped kitchen facilities. Cocktail bar with narghilas and a restaurant are available on site. Grocery shops and restaurants can be found in the vicinity, same as landmarks like a Franciscan church, synagogue and mosque. Radobolja Stream runs right next to the property, while the River Neretva is within 100 yards from the property. The modern town centre is 0.6 miles away. The main bus and train stations are 1.2 miles from the Oscar Guest House. Free onsite parking is available, 100 yards away. Pansion Oscar Summer Garden has been welcoming Booking.com guests since 25 Jan 2013. When would you like to stay at Pansion Oscar Summer Garden? 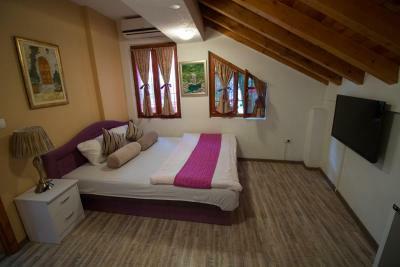 Compact air-conditioned room with wooden floors and cable TV. Guests can use the fridge and kitchen in the hall with free coffee, tea and water. Please note that 1 extra bed is available in this room (see Hotel policies). 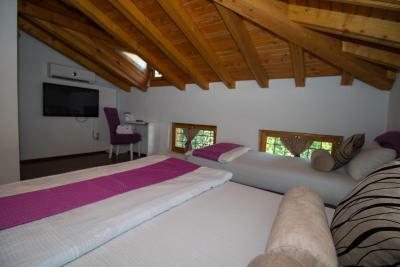 Compact air-conditioned room with wooden floors, cable TV and a private bathroom with shower. Guests can use the fridge and kitchen in the hall with free coffee, tea and water. 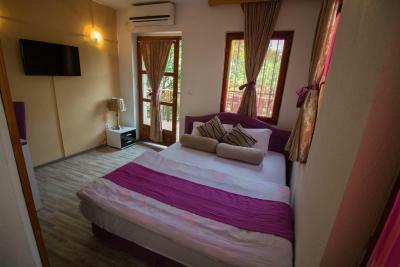 Compact air-conditioned room with wooden floors and cable TV. Guests can use the fridge and a kitchen in the hall and a shared bathroom with shower and washing machine. 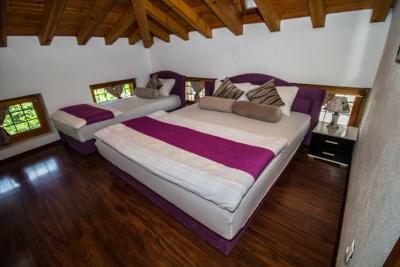 Please note that either 1 or 2 extra beds are available in rooms of this type. Previous request is needed. See Hotel policies for extra bed rates. Pansion Oscar includes, 1500 square meter, summer garden. House rules Pansion Oscar Summer Garden takes special requests - add in the next step! Please note that cocktail bar with narghilas and a restaurant operates in the garden between 1 May until 30 September. Guests may experience noise from the cocktail bar in late hours. Bed sheets a bit coarse. Very comfortable, beautiful gardens and bar area. Very helpful and friendly staff. Enormous breakfasts. 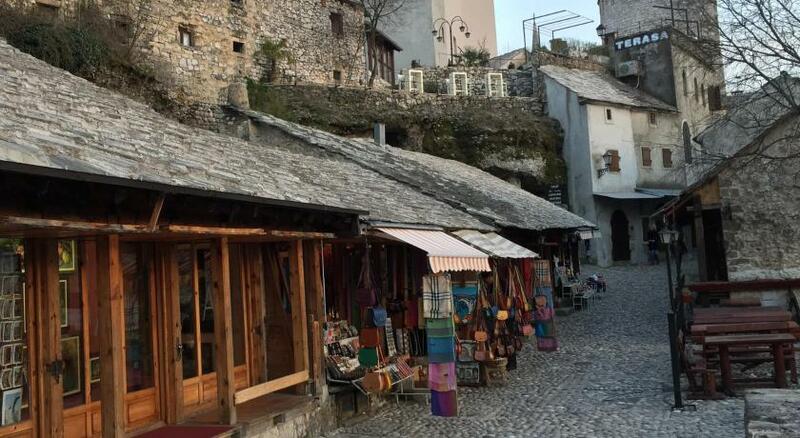 Wonderful location in the old town district of Mostar. Loved chilled out vibe of the bar area. Wifi is poori. A tiny bathroom and no electrical counter in the bathroom. Loose shower holder and the same loose towel holder. Towels heavily worn, gray from an old age. Bathroom fittings heavily worn. Poor drain in the shower tray. When adjusting the water temperature in the shower you have to unscrew the water flow to full, so that it is warm! Othersie, it is either warm or cold. The music from the bar was quite loud in the room but it always stopped by 12 and it is a lovely, fun bar. Fabulous breakfast, staff and location. Our sink was a bit dirty with hair on plug hole but spotless other than that. There is music until midnight but it isn’t too bad. Staff are so helpful and nice and breakfast is delicious. Really central. Bathroom is tiny. Sink so small quite difficult to wash your face.